We've already insisted that you play Dynamite Jack, because it's a truly fun and panicky stealth game with explosions. But now I must insist you pick up the iOS version, because playing a game on my iPad has never taken me to the edge of my seat quite like Dynamite Jack has. Seriously, people on the subway look at me weird. 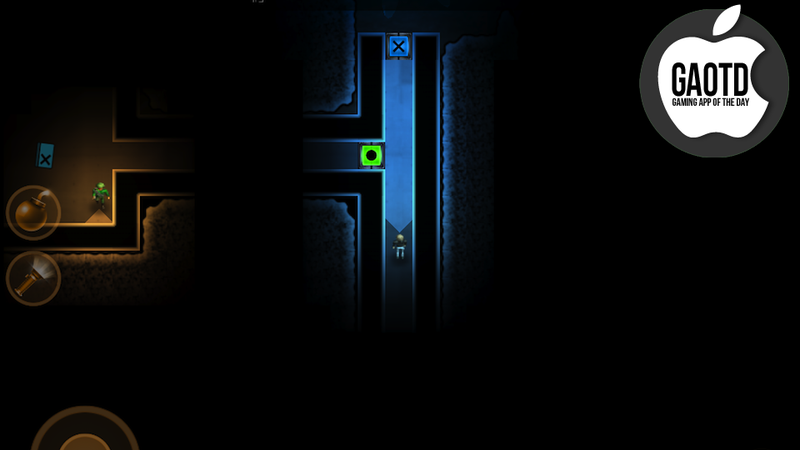 The game features the same dark, maze-like hallways and caverns as its PC/Mac sister. Controlling a space marine on the run from hostile aliens, players swipe (or control the virtual joystick) in the direction they need to scurry to after grabbing a keycard or exploding a wall away. Tension builds as you round corners to enemies, watching as they pace back and forth, and waiting for their flashlights to dim before dashing to another safe zone. As a stealth game, Dynamite Jack is spot on. As a fun, idle iPad game, Dynamite Jack is equally spot on.